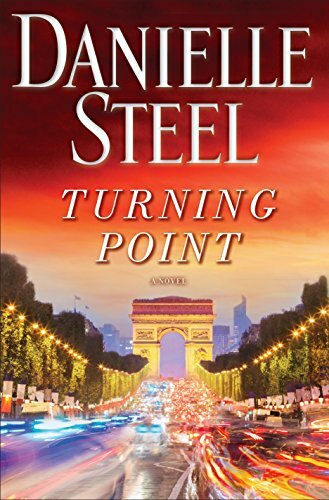 In Danielle Steel’s powerful new novel, four trauma doctors—the best and brightest in their field—confront exciting new challenges, both personally and professionally, when given an unusual opportunity. Bill Browning heads the trauma unit at San Francisco’s busiest emergency room, SF General. With his ex-wife and daughters in London, he immerses himself in his work and lives for rare visits with his children. A rising star at her teaching hospital, UCSF at Mission Bay, Stephanie Lawrence has two young sons, a frustrated stay-at-home husband, and not enough time for any of them. Harvard-educated Wendy Jones is a dedicated trauma doctor at Stanford, trapped in a dead-end relationship with a married cardiac surgeon. And Tom Wylie’s popularity with women rivals the superb medical skills he employs at his Oakland medical center, but he refuses to let anyone get too close, determined to remain unattached forever. These exceptional doctors are chosen for an honor and a unique project: to work with their counterparts in Paris in a mass-casualty training program. As professionals, they will gain invaluable knowledge from the program. As ordinary men and women, they will find that the City of Light opens up incredible new possibilities, exhilarating, enticing, and frightening. When an unspeakable act of mass violence galvanizes them into action, their temporary life in Paris becomes a stark turning point: a time to face harder choices than they have ever made before—with consequences that will last a lifetime.